This entry was posted in Traditional Astrology, William Lilly and tagged temperament, Wisdom. 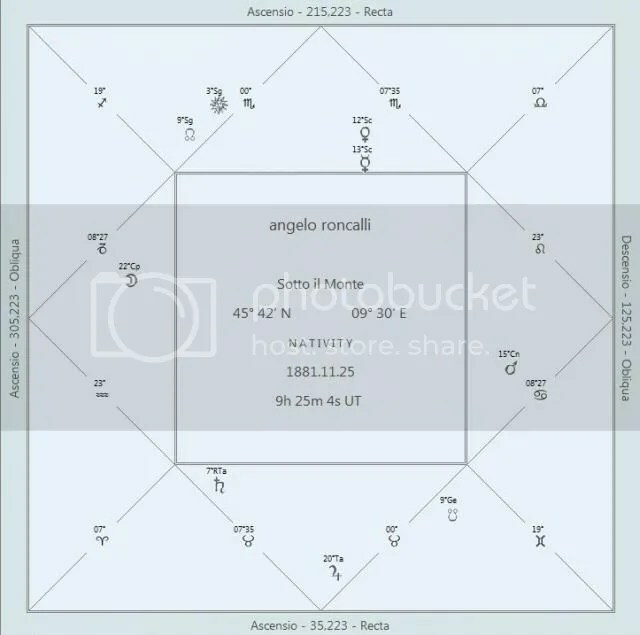 i don’t know what the “sophisticated traditional software” you are using is, but if you look at the emphasis of planets in roncalli’s chart it would seem the sector most in focus runs from the ascendant to the midheaven, with the moon slightly below the ascendant and ‘technically’ in the phlegmatic region of the chart. the chart shows this sector as the ‘sanguine’ sector. the moon is 14 degrees below the ascendant. not sure how that software arrives at it’s conclusions, but if having the sun, mercury and venus in this sector with the moon not far off, perhaps the diurnal motion and positions relative to the angles counts for more then we think? what is also interesting to me is how reading a chart from an elemental angle with an absence of planets in the air signs suggests less likelihood of this person being ‘sanguine’ as well. i conclude that element considerations must pale in significance compared to quadrant sector relevance. I used Astrophasis, a software elaborated inside Cieloeterra group. In this part the software is only partial independent by the astrologer, in fact I got the same result by hand, the prevalence of melancholic temperament, because of the Moon and Ascendant in a Saturnian sign. 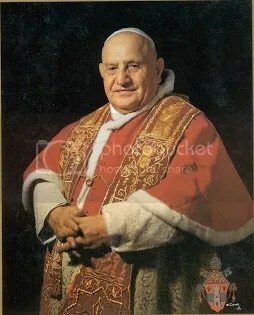 Anyway Pope John XXIII has nothing of the melancholic type. He is especially known for his good heart, for the “Pacem in terris” (Peace on the Earth), the “Speech of the moon” and his plump complexion. Still I would never say “sanguine” looking at the chart if I would not know about who we are speaking about. thanks. roncalli is a good example in many ways margherita! a focus on the elements/signs seems less relevant then a focus on the quadrant emphasis here. the sign emphasis of ascendant/moon is typically used as a means to define temperament. in this example if we go by that idea the focus on capricorn doesn’t give an accurate view on the temperament. perhaps relying on the moon and ascendant and the sign they are in is the wrong way to reach a definitive conclusion on temperament? that is what i think..
do we try to fit the astrology to the person, or do we try to understand the person and then see how the astrology fits with it? 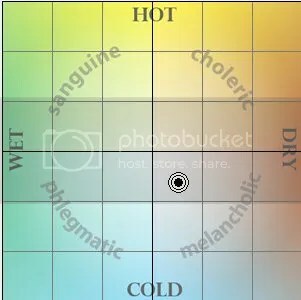 i think the quadrant / temperament association is ptolemy, but i am not sure. i know deb houlding discusses it in her ‘the houses – temples of the sky’ page xx1-xx111.. she cites lillys christian astrology in reference to the quarters of heaven. it is not a case of using quadrants instead of margherita’s methodology.. margherita shares part of her work which appears to include the use of quadrant emphasis too given the pic from the “sophisticated traditional software” she shares. for me it is a question of does the shoe fit or not and if not, why not? perhaps the methodology is under or over emphasizing something. that is what i am suggesting here..
check out greenbaums book ‘temperament astrology’s forgotten key’ for more info if you haven’t read it already.. her approach is more medieval as opposed to hellenistic.. it is quite a thorough view on this aspect of astrology that i like to think of as the back door entrance for those traditional astrologers who are interested in psychology and yet want nothing to do with psychological astrology!!! I believe the problem is not “the traditional method is wrong” and changing it for some other method. The problem is applying it blindly. following anything blindly as you mentioned in the article is my favourite line from your article..
Hello to every body, it’s my first pay a quick visit of this blog; this web site contains awesome and in fact good material for visitors. Try the sideral zodiac and whole sign houses too ;-) The temperament is choleric total, with a little sang. + phleg., but Venus (con Merkur) in 11 has most dignities and Moon and Jupiter characterize the behavior of the pope. Sanguine Jupiter aspecting the first house, the first-house, phlegmatic Moon, and fifth-house melancholic first-house ruler Saturn will give a very Sanguine temperament.